I am often asked, “Who is the worst in marriage when it comes to being dishonest about money and assets…men or women”? Comparing all the divorce stories I have heard, I’ve come to the conclusion that neither one is worst than the other. I don’t believe it’s a matter of gender but rather of personality. When a marriage breaks down and couples must negotiate their property settlement, the party in the marriage who has always controlled the family money and has been somewhat secretive about the details of family assets, may start to dodge questions during family law negotiations. I often refer to this person as being a narcissist. Why? Because this person believes they are the most important person in the marriage and consequently may try to secure as much as possible of the family pool of assets for their own benefit. A narcissist believes their needs are the most important of any other in the family equation. They may have been the main bread winner and believe it is this that sees them having a greater sense of entitlement to the family money pot. They do not equate the sacrifice of another having given up their career or education to care for a family, they don’t see the value in being a home maker, they don’t care that depriving their partner of their fair share as being anything wrong. They may mask their real intention (keeping the majority of money for themselves) by seeking to justify concerns they have that whatever may be paid for the upkeep on their children may be haphazardly spent by their ex on non-child essential items. A narcissist has little or no empathy for others and has fabricated a reality in which they are superior and more important. I often see marriages where one party is more of a giver, whilst the other party may be more of a taker. I see takers as being narcissistic. If this sounds a little like the person you are married to then at least now you know why they behave the way they do and that it may be time to set some limits. Sometimes, when a marriage comes to an end there may be one party who just doesn’t want to move out of the family home. For some reason, either they can’t be bothered packing up and moving or they can’t detach emotionally from the family home. This will cause an impasse in divorce negotiations. It can also be the beginning of a nightmare especially if the family home is the major asset and must be sold to finalise the property settlement. If one party isn’t happy with the decision to sell the family home and/or they can’t afford to purchase the other half, they can seek to stall proceedings by making the property so unappealing that potential purchasers are put off and scared away. The types of sneaky tactics I am about to highlight, contribute to devaluing the asset, result in costly upgrades and delaying the property settlement. Even if you spend the money to resolve some of these issues, the costs incurred don’t necessarily equate to an increased sale value. A delayed property settlement may also mean one party could miss out on opportunities which were reliant of the original property selling and settling within a prescribed timeframe. If a building looks a bit off it may be because any building additions are not in sync with the original building. There is nothing worse than an addition that looks like a pimple on a pumpkin rather than a seamless extension that brings new life to a property. We have all seen older style homes with more modern extensions at the rear leading out to a garden. These are not the sorts of additions I am speaking of here. I am speaking of ill-conceived additions that are tacked on and look disjointed; they may also be a clumsy brick extension to a wooden home. Illegally constructed buildings, those without council and building permits, will significantly devalue a property. These types of buildings might be grannie flats, sheds, atriums, pergolas etc. The vendor’s statement must disclose any such constructions and provide the appropriate warranties, insurance and permit information. If this is not disclosed to the purchasers, the sale may stall and the vendors may find themselves liable for any costs incurred by the purchasers related to the signing of the contract. If by some chance the purchaser’s conveyance professional has not picked up on the existence of an illegally built structure on the property, the council may still prevent the transfer of land into the purchaser’s name if they become aware of any irregularities. Partially completed renovations and DIY renovations gone wrong are nightmares to resolve when trying to put a property on the market. You will never realize a good price for your home when you are dealing with these issues. Sometimes builders disappear or an argument has ensued with them and they refused to return to the job. Alternatively, your money just plain ran out or your ex partner, who thought that DIY was a great idea at the time, ran out of steam and couldn’t finish the job; all this means you are left with a partially constructed building that isn’t worth what it should be. I remember once attending an open for inspection in a bayside suburb. The home was a rabbit warren and this had clearly been done to the home for a reason, I just couldn’t figure out what that reason was. It was like a maze and you needed a map to find your way back to the start. These strange modifications can really put buyers off and if you are in the middle of a family law dispute may drag out your negotiations until you are exhausted and cannot continue the fight anymore thus accepting a reduced value. 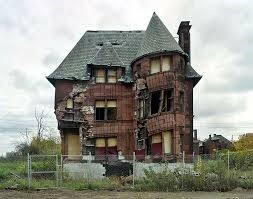 Another sneaky tactic to devalue a home is a poorly maintained exterior. Painting the exterior in a vile colour, failing to attend to damaged guttering, falling fences, broken garden sheds and leaky roofs on garages can really bring down the value of a home. It is the face of the home that buyers first appraise and can influence immediately what they believe they will see inside the home. A garden showing clear signs of neglect such as uncut grass, a high concentration of weeds, over run vines, a distinct lack of pruning, an overgrown vegie patch, an old compost heap, a long abandoned chicken coop, a disused DIY water recycling system, broken garden pots, lifting outdoor tiles, animal faeces, unkempt animal enclosures, garden and household rubbish, a disused and rundown barbeque area or old brick fireplace, and the dumping of old cars or whitegoods can be a major deterrent to potential buyers. They have already started to calculate in their minds the costs, effort and time to be incurred to remove the mess. If the outside of the family home hasn’t been devalued with these tactics then the inside may be the culprit. A filthy interior indicated by signs of odours (old cooking smells) and stenches (filthy toilets and old food rotting inside the kitchen sink plumbing), mould, evidence of rodents, broken or cracked windows and tiles, dirty kitchen and bathroom areas, interior clutter, stained carpets, broken fixtures, dripping taps, scuffed skirting boards, holes in walls due to door handles are nasties which can occur due to a determined ex who may not wish to move out or tenant, who may or may not, have been installed into the property for the very purpose of devaluing it. If you, for whatever reason, decide to leave the family home and your ex partner remains in it. Have an agreement drafted in relation to the expectation of basic maintenance and repair to the property. Take photographs of the property in order that you have evidence of the original state of care it was left in. Include in any agreement that a failure to adhere to the conditions agreed to may mean the cost to repair any damage or neglect will be deducted from your ex partner’s share of the sale proceeds. Protect your share of this asset it may be the largest one you will have in your lifetime. We often leave relationships because we have to, because we have no choice. This decision is never made lightly and is often fraught with fear, urgency and some panic. Before you leave for good, there are some extra things you will need to gather up before leaving: financial records. When the time comes to formerly end the marriage you will need to complete a financial statement in order to divide the property between you and your ex partner. This statement requires that you declare your assets and liabilities. When you view what your ex partner has recorded on the financial statement they have submitted, you should undertake to prove that it is correct. To do this you want to have to hand third party documentation to prove, for example, that the assets (savings and investment bank accounts) and liabilities (credit cards and loan accounts) actually existed during the marriage. When a marriage is collapsing and tempers are high, sometimes people do things in anger and spite that can really knock the wind out of our sails. We often look back on these experiences with regret for not having anticipated what could have happened and for failing to take precautionary measures. If your ex partner has left the family home or is in the process of doing so, chances are they may still have a key to the premises. If this is the case and the situation between the two of you is acrimonious, you may want to be still for a moment and ask yourself: what is the worse he/she could do which I couldn’t live without. 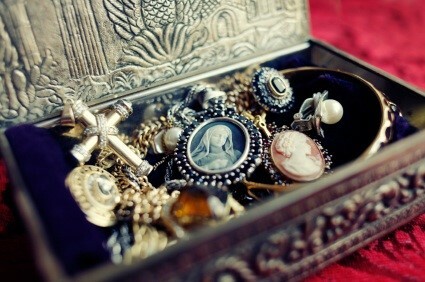 Family heirlooms and keepsakes are those precious items that no amount of money can replace. The emotions and memories they conjure may never be fully understood or appreciated by another and most certainly cannot be replaced by a replica. They may be the quilt your great grandmother gave your grandmother which has continued to be handed down through the generations, or the baby jewellery you were given which you intend to pass on to your children, your great-grand father’s war medals, your late uncles trumpet which saw many a party and came out at every family function. Whatever the item, sometimes in anger heirlooms may be used as a weapon to inflict even more pain through their destruction. Partners can do cruel things to get your attention and if you cannot live without something precious I recommend you remove it from the family home to a place of safety to avoid the unthinkable. Sometimes the temptation to hurt another can be too great to resist and the removal or destruction of an item of precious sentiment can be see as the ultimate get back plan. Once you have removed these items to a safe place, consider changing the locks on the family home once. One thing is for certain; divorce absolutely reveals many things that may have seemed impossible to entertain during the days of your happy marriage. Once you cross the great divide and into the realm of separation, you may feel the cold chill of indifference, a lack of empathy, compassion and time. Those you once counted as friends, work colleagues, those you share your children’s school duties with, your gym and coffee catch-ups; all these contacts may change their reactions towards you and your situation. The odd thing is, some people feel and act like separation and divorce are infectious and they may steer clear of you. You may initially enjoy the comfort of kind words and consolations but over time you may notice this change. You may experience a decline in interest and the appearance of the stoic facade. Many of your friends may feel like they are being forced to change sides and depending on how your friendship was formed; either they were your ex partner’s friends or your friends, a culling will occur. You may find yourself no longer included into certain social activities either because you were not the original friend of the group, or because no-one wants to have a perceived sadness spoil their event or because they are concerned a newly single woman is a threat. It’s odd that men don’t think like this but women certainly do. Your separation will see your friends divide into opposing camps and their true colours will be revealed. It will shock you to the core just how shallow some people may become and you will be greatly saddened by these behaviours. You will feel betrayed, lonely, angry; all this on top of the potential rage you may feel towards your ex partner and the anxiety you hold for your children. When people are showing their true colours, this is the time when you need to strengthen your resolve and save your energy for the battles that need to be fought. Now, not all separations will be fraught with hardship and anger but if you find yourself in one that is, try to concentrate on the important things. These important things are to create a safe and happy environment for your children and plan for the future of you restructured family. Those friends and associates that are truly worthy of your friendship will reveal themselves. They will always be ready to listen to you, to your decisions and will have understanding for you in their hearts. 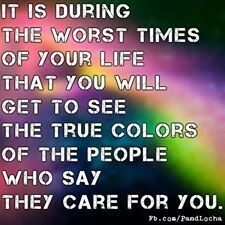 It is only through adversity that you will find out who your true friends are and what you are capable of. See these situations as opportunities for learning, of strengthening relationships and your spirit. When someone you love, someone you have spent years with, had some memorial experiences with and perhaps had children with, tells you they want a divorce…it can feel like you are dying. The same can be said when you are the one who is having to deliver the news. Either way, there are no winners and the result is the same…gnawing grief. We all know how grief pans out, we’ve all felt it at some stage in our lives and in different scenarios. Whether it is a failed relationship, a lost business or some other heart wrenching tragedy, the rollercoaster travels in the same direction…into the valley of uncertainty and anxiety. That stab in the heart you feel upon hearing the news is followed by shock that results in a numb feeling where nothing penetrates and you notice little that happens around you. I know this sounds difficult but it is at this time that you need to compel yourself to take action and control of what is happening around you. You need to be navigating your boat and not being battered by the waves. This is the time you need to work out what you need and what you want. You need to find out what resources you have at your disposal to survive in the short term and those you need in the long term to carve out a future. Your ex partner may have already spent time working out what they want to do. They may have already made some decisions and put some actions in place. Their ducks are lined up and because they have already mentally moved on they may try to hurry you along also. This a time when you need to take a deep breath, focus on your children if you have any, and try to take stock of the situation as calmly as your nerves allow. One of the greatest issues of concern for you may be the family finances. You will need to secure sufficient financial resources to ensure your restructured family can exist comfortably until everything is sorted out with your ex partner. I recommend you begin by preparing a budget. You must identify what you will need to purchase in terms of those day to day essentials for your family, what obligations to pay for to maintain the family home and the financial external necessities such as school fees and mortgage payments. Open a separate bank account and have your pay and family benefit allowance paid into it. Monitor any joint credit card use and try not to go overboard in your spending. Anger buying is never a wise move as this liability will be reviewed as at the date of separation for use by each party. You may not be able to cancel any jointly held credit cards because they will be in joint names and must have a zero balance before they can be closed in any case. Deal with the immediate financial needs of your family first and then think about the next step of preparing the financial statement required for the divorce process. Remember small and consistent steps will see you through this process towards what I hope for you will be a happier future.